The Bharatiya Janata Party (BJP), many presumed, would reverse India's pledge of "no first use" (NFU) of nuclear weapons, which allows nukes to be used only against entities that have struck Indian targets with weapons of mass destruction. 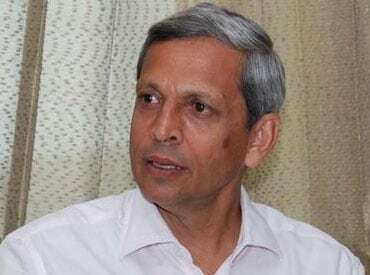 This assumption was based on the party's manifesto, which undertook to "study in detail India's nuclear doctrine, and revise and update it, to make it relevant to challenges of current times". This boilerplate formulation, which says absolutely nothing about reversing NFU, was inserted into the manifesto without any serious discussion within the BJP. Yet party spokespersons like Seshadri Chari, Nirmala Sitharaman and Ravi Shankar Prasad, all unschooled in nuclear policy, responded in gung-ho fashion to media questions about an NFU review. The clarification on Monday by BJP president Rajnath Singh that no review of NFU was planned is a disappointment to many who touted the muscularity of the BJP's security policy. Yet India's nuclear doctrine badly needs a review. While the NFU pledge must quickly be scrapped, the ill-conceived commitment to "massive retaliation" is even more damaging to our nuclear credibility. Fifteen years ago, facing tight international sanctions, we needed a restrained doctrine. Today, with the security environment more challenging than ever, India's nuclear doctrine must complicate the calculus of opponents, not simplify it as the single-minded focus on massive retaliation does. The existing nuclear doctrine - initially issued as a "draft nuclear doctrine" in August 1999, and solidified (in slightly changed form) through a gazette notification on January 4, 2003 - pledges that India "will not be the first to initiate a nuclear strike, but will respond with massive retaliation should deterrence fail. India will not resort to the use or threat of use of nuclear weapons against states which do not possess nuclear weapons, or are not aligned with nuclear weapons powers". In simple terms, this means that India will wait to get nuked before it fires nukes. Once nuked - even by a small, tactical nuclear weapon fired by, say, Pakistan on its own soil against an Indian armoured offensive, that destroys one squadron of 14 tanks and kills 45 Indian soldiers - New Delhi's response will be automatic. India's massive retaliation will unleash most of its 80-100 nuclear weapons against Pakistani towns and cities - termed "counter-value targets". Since Pakistan's nuclear arsenal is currently larger than India's, and is dispersed and sheltered across that country, New Delhi will be visited by retaliation from the smoking ruins of Pakistan. In what is termed a "second strike", that country's nuclear command authority, safe in underground command posts, will fire its surviving nukes - and there will be many - at New Delhi, Mumbai and other Indian cities within range of its Shaheen-II ballistic missiles. In this chain of events, most of Pakistan and large swathes of India will be transformed into radioactive wastelands and hundreds of millions of people killed. Remember, this level of destruction follows from a single tactical nuclear weapon, fired by Pakistan at its own territory. Most rational people would find this scenario incredible. Indeed, New Delhi's massive retaliation strategy rests on the belief that Pakistani policymakers are rational actors, who will avoid this cataclysm. Yet even rational actors behave irrationally when under enormous stress, such as an existential threat to one's country. While New Delhi's nuclear theologians bet our lives on the rationality of Pakistani generals, is that generous assessment corroborated by Pakistan's heedless plunge into the abyss of radicalism and jihad? Should India's leaders have no choice but "suicide or surrender"? Remember that New Delhi, under BJP rule in 1999 (Kargil) and 2001-02 (Parliament attack), and under Congress rule in 2008 (Mumbai attack), shrank from employing even conventional military force against Pakistan. Will New Delhi sanction massive nuclear retaliation that could lead to the aptly termed MAD - mutual assured destruction? Probably not, which is why the misconceived massive retaliation strategy must be revisited even before NFU. There are lessons here from the United States' experience in the 1950s. President Dwight D Eisenhower and Secretary of State John Foster Dulles adopted a "massive retaliation" strategy against the Soviet Union, based on clear US nuclear superiority in an era when Russian delivery systems could cross the Atlantic. In October 1953, the seminal National Security Council Paper 162/2 first used the term "massive retaliation". In January 1954, Dulles threatened that America would "depend primarily upon a great capacity to retaliate, instantly, by means and at places of our own choosing". Yet Dulles could see that massive retaliation was not a credible threat, especially as Soviet retaliatory power grew. Writing in Foreign Affairs in April 1954, Dulles shifted towards a so-called "flexible response". Suggesting that massive retaliation was one of many options, Dulles wrote, "It should not be stated in advance precisely what would be the scope of military action if new aggression occurred… That is a matter as to which the aggressor had best remain ignorant. But he can know … that the choice in this respect is ours and not his." In the early 1960s, President John F Kennedy's no-nonsense secretary of defence, Robert McNamara, could see that Kennedy needed usable options. Threatening the deaths of 360 million to 450 million people in the Sino-Soviet bloc might deter a Soviet nuclear strike, but was hardly executable if deterrence failed. That led to a formal "flexible response" doctrine, in which assured destruction was only the apex of a long escalation ladder. India's doctrine must create similar options, allowing policymakers every possibility in a crisis - pre-emptive strike, counter-force and counter-value targeting, even assured destruction through massive retaliation. Furthermore, the exclusive focus on massive retaliation has entirely demilitarised nuclear planning, with the agents who must deliver nuclear weapons - the missile forces, the air force and submarines - playing little or no role in planning and rehearsing. This must change.